Many of you will have experienced the Camp Hardtner culture as a camper. However, the reality is that there is another culture that exists—the WORK culture—which, in many ways is similar, but in many ways is unique. As a Permanent Staff member you’ll be hard pressed to find a better—or more challenging—job in the world or a more rewarding ministry. Working and living intentionally in community will push your limits and you are sure to grow tremendously: spiritually, personally, and professionally while you impact the lives of our campers. The CIT Program aims to answer questions about what it is like to work here for the summer, to take on this ministry. The program gives space, time, and place to explore and consider the “other side” of things at Camp that you’ve not experienced. Those selected for the CIT Program will be required to attend CIT Orientation on June 12-13, 2019. 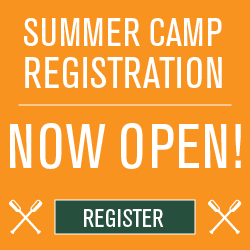 Many of you will have experienced the Camp Hardtner culture as a camper. The reality is that there is another culture that exists—the WORK culture—which, in many ways is similar, but in many ways is different. It is NOT about teaching you how to be a counselor, to see if you have the skills, to see if you are good or bad at it. In fact, being a CIT has little impact on whether you are hired or not as a PS member. It is not about us testing you out. It is about YOU learning about us. It IS about seeing the behind-the-scenes work culture. To ask and answer questions about what it is like to take on the work of this ministry—to explore how we work together, how we live together, how we interact. It IS about hearing from the Permanent Staff members about what their experience is like—what is challenging, what is rewarding. AND to see it in action from a new perspective. You stand at the threshold between your previous relationship with Camp and your new one. Will that new relationship possibly include working on the Permanent Staff? 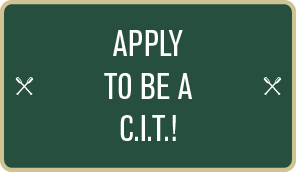 Apply to be a CIT and give yourself some time and space to explore that! If you have any questions about the requirements, application process, or experience, please don’t hesitate to contact me.